THE mother of a Leeds youth worker who died after taking a drug around 50 times more potent than heroin is urging people not to make the same mistakes and steer clear of illicit substances. Gary Edwards, 35, is believed to have been drug free for more than six years when he died after relapsing and taking drugs which contained fentanyl last November. An inquest at Wakefield Coroner’s Court heard Mr Edwards, of Chapel Allerton, Leeds, died as a result of fentanyl and morphine toxicity. Speaking after the inquest, his mother Debbie Edwards, 56, said her son went off the rails as a child after his father Ray died aged 52 when Gary was ten-years-old. She said he started using cannabis aged 15, went on to use cocaine and by his late twenties he had become a crack cocaine and heroin addict. When he was 29 he went into an 18-month rehabilitation programme in Scotland with the Christian Teen Challenge organisation. She said he became a youth leader aged around 32 with the Bridge Street Community Church in Burmantofts, Leeds. Mrs Edwards said he raised around £6,000 to set up the Mission to Calais organisation to help children living in the former Jungle refugee and migrant camp in France. He also visited Romania on three occasions as part of a project to help build and maintain school for underprivileged children. Mrs Edwards said: “Gary had a real zest for life. “Everyone who met him couldn’t forget him because he was such a big character and so full of life. Mrs Edwards said: “He had a relapse and that was it, it’s killed him. “Nobody knows what they are taking anymore. Gary would never in a million years have taken anything that he thought would kill him. “One tiny bit of fentanyl and you have got no chance of surviving. “The dealers might as well go around sticking a gun to people’s heads and shooting them. Mrs Edwards said when her son was younger she always feared receiving phone call informing her of his death. She added: “After six years those fears had gone. “After he went into rehab I never thought I would be in that situation again. A coroner recorded a verdict of drug related death after an inquest heard Mr Edwards had potentially fatal levels of fentanyl in his system. The inquest at Wakefield Coroner’s Court was told police broke into the Chapel Allerton home of 35-year-old Gary Edwards on the evening of November 13 2017 after a friend raised concerns about him. The inquest heard that consultant histopathologist Dr Lisa Barker carried out a post mortem. The inquest was told there were potentially fatal levels of fentanyl in his system and high morphine levels along with signs of cocaine use. Area coroner Jonathan Leach said toxicology tests were also carried out, adding: “Because he was using morphine as well as fentanyl, these drugs have a respiratory effect. Recording a verdict of drug related death, Mr Leach said: “It is clear from what I have read and heard from his mum that Gary was a 35-year-old single man. “He had a long history of drug misuse. He had a loving and supportive family and his mother was in regular contact with him on the morning of November 11. 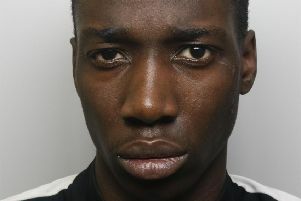 “Two days later a friend raised concerns about him and as a result police attended his home on Stainbeck Lane at Chapel Allerton, Leeds, and found him unresponsive. “Paramedics attended and certified death at 10.10pm. The National Crime Agency confirmed last September it was investigating the threat posed by the supply and consumption of synthetic opioid fentanyl. There were deaths in Yorkshire and the Humber, prompting warnings about heroin laced with fentanyl. Fentanyl has a legitimate medical use as a painkiller, but is highly toxic and as little as 0.002g of fentanyl (within a typical 0.1g heroin deal) is potentially fatal. Fentanyl is around 50 times more potent than heroin and 100 times more potent than morphine.